Winners were hosted at a reception at the Nebraska Governor’s Mansion hosted by First Lady, Sally Ganem. The winners received Kindle Readers, gift certificates from McDonalds, and Standing Bear Books courtesy of Wells Fargo. 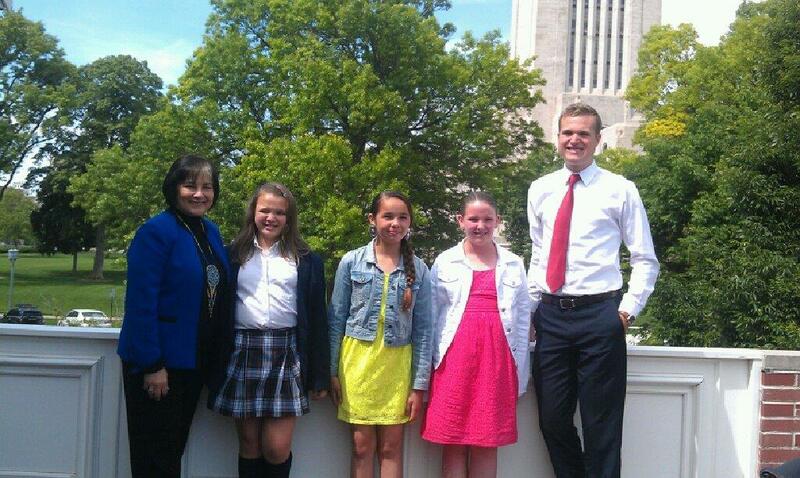 Pictured: First Lady Sally Ganem; Claudia Archer, Brownell-Talbot; Anna Berridge, St. Augustine Mission School; Morgan Adams, Kloefkorn Elementary School; Alexander Mallory, University of Nebraska-Lincoln.